Hey, you. Yeah, you. 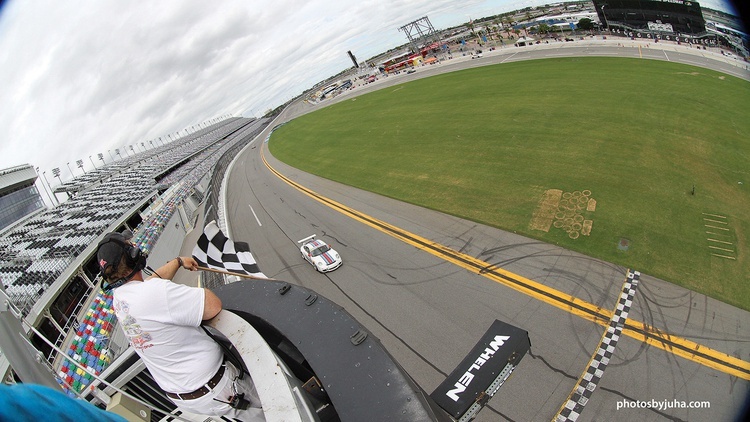 How about making this the year that you get off the couch and get involved in motorsports? Don’t have the right car? Not enough time? Let’s bypass the excuses and work on some solutions, no matter what’s parked in your driveway or how much is in your bank account. If you’ve already made the leap from dreamer to participant, perhaps this story can spur others to join you. Why have all the fun alone, right? What do pro racing superstars Randy Pobst, Peter Cunningham, Andy Pilgrim and many others have in common? They all have autocross on their resumés. Why should this matter to you? 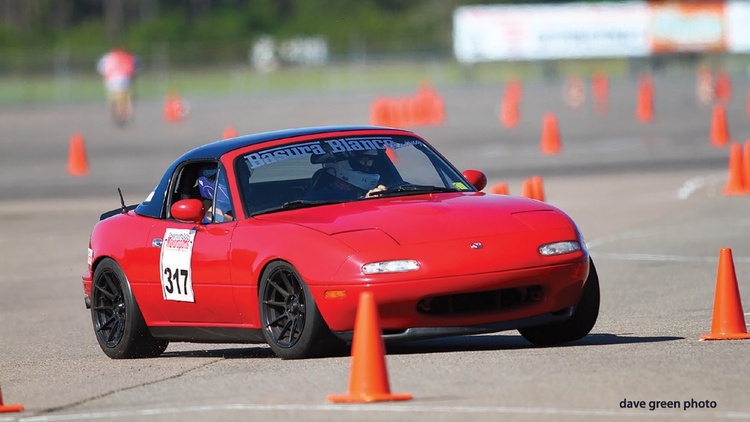 Autocross has to be the easiest way to experience squealing tires while fine-tuning your driving skills. 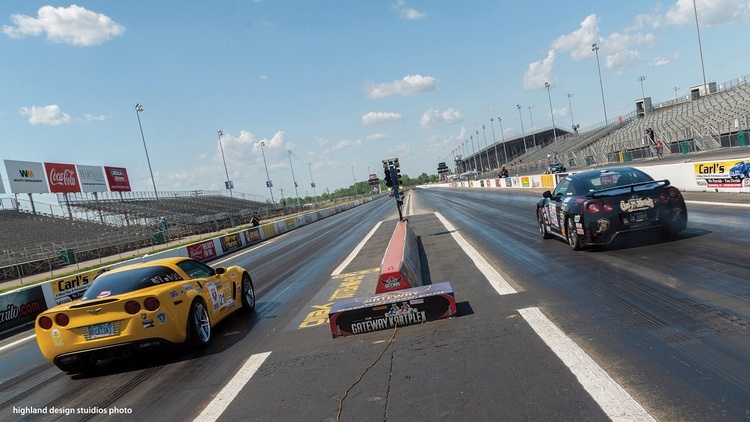 The fundamentals are simple: Drivers compete, one at a time, through a pylon-lined course. Each downed pylon adds a penalty to that run’s time, and most courses take about a minute to navigate. Top speeds are usually around 60 mph, but trust us, it feels faster. Drivers are divided into classes depending on car type and modifications, and the potential for damage is practically nil. Fastest run of the day wins each class. Sounds easy, right? Events can easily be won–or lost–by a blink of an eye. 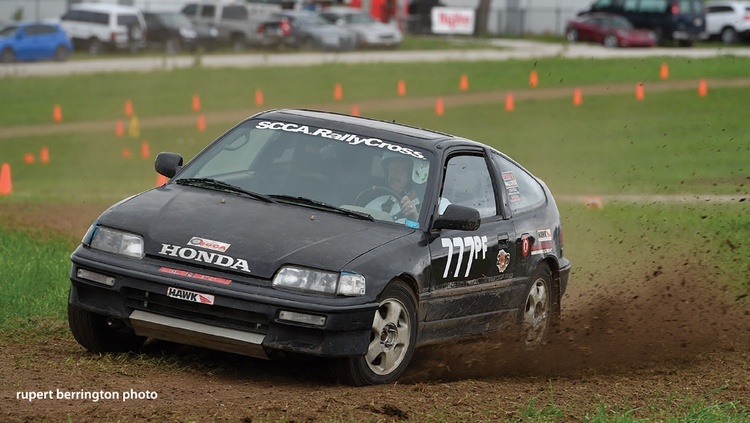 You may think you’re a good driver, but autocross will make you a truly great one. Requirements: Just about any functioning, safe car can autocross, but obviously some makes and models are better suited to the sport–think low and light. The most important factor, though, is safety. If the vehicle is narrow and tall, like an SUV or 4×4, it might not fly. Assuming you have a car-shaped car, then the safety requirements are rather light, providing that no major mechanical issues are present: Tires must have tread and be free of defects; the battery must be securely tied down; the throttle return spring must work as intended by the factory; lug nuts can’t be missing; and the original seat belts must be present. That’s about it. Personal Gear: You’re going to be outside all day, so come prepared with a hat, sunblock, water and lunch. For those without their own Snell SA-rated helmet, loaners are usually available. First Step: First, scoop away all of the loose junk that’s rolling around in your car. Then, find an event schedule online. Many autocrosses offer pre-registration. Figure $25-$45 for the day–usually three to six runs. On the morning of the event, get there before check-in and tech inspection closes. Walk up to the registration table and tell them it’s your first event. They’ll pretty much take it from there. If you get confused, look for the person wearing the biggest hat–trust us, that person will know what’s what. Who to Call: The biggies here are Sports Car Club of America, National Auto Sport Association, Porsche Club of America, BMW Car Club of America, and National Council of Corvette Clubs. Then add in local sports car clubs. Road racing requires driving schools, a dedicated car, a tow setup, a willing crew, and the ability to navigate a rulebook. Why not run laps for the fun of it instead–just you and your favorite car? Track days remove the competition element, but that doesn’t mean they’re held at second-rate tracks. Today’s track day scene visits some of the finest facilities in this land, from Sebring to Willow Springs. Most groups offer sessions for beginners, intermediate and expert drivers. Classroom instruction takes place between track outings. Some groups also offer ride-along instruction. Fresh takes on these events have made them even more accessible to first-timers. 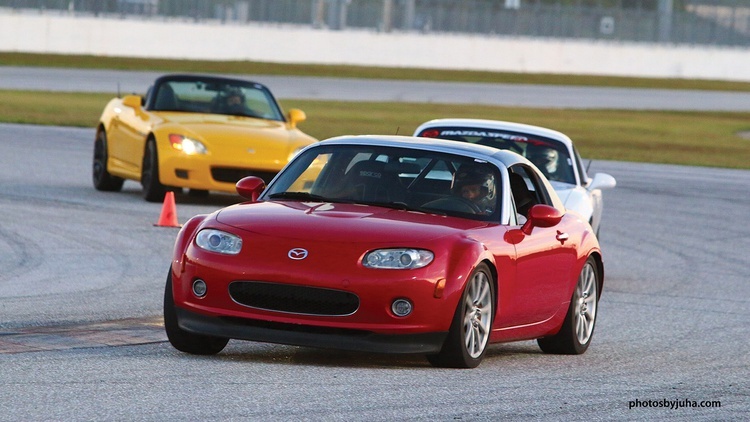 SCCA’s Track Night in America program rolls out the red carpet for novices, while HPDE 1, the first rung on NASA’s track event ladder, also welcomes new faces. Registration starts at around $150 per event. Requirements: Remember that car you took to your first autocross? It’s probably suited for track days, too. Sure, plenty of people there will have Porsches and Corvettes, but that Civic or BRZ works just fine. Track events place more of a load on the car, though. Are your brakes and tires prepared to handle 30-minute sessions? And how about three to six sessions per day? Since the wheel-to-wheel element is removed, your car’s original safety equipment should be sufficient. Convertibles need some sort of approved rollover protection–the factory bar might be okay, or it might not–so contact the organizers ahead of time. Personal Gear: You’ll need the proper Snell SA-rated helmet; loaners most likely won’t be offered. Long-sleeve shirts and long pants are typically required. First Step: Most track events require preregistration. At this step, you’ll likely receive a car inspection checklist as well as an event schedule detailing specifically where and when to show up. 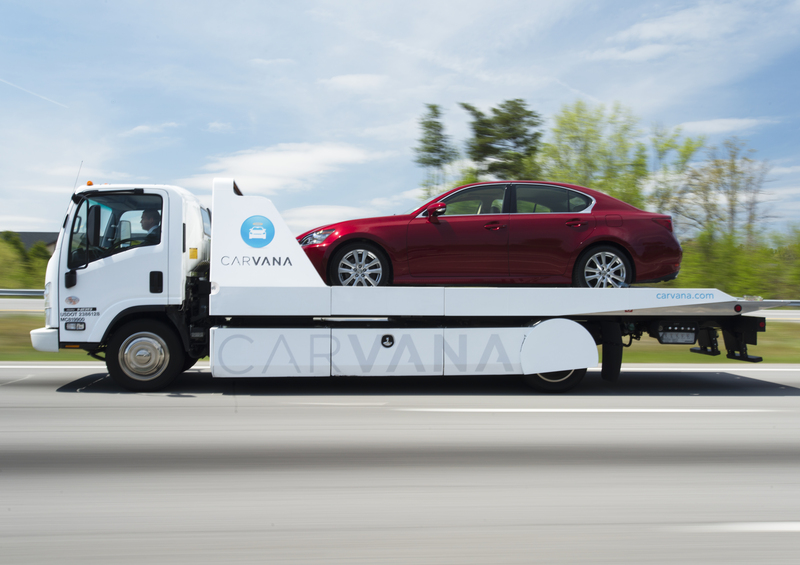 In most cases, the car owner or a certified shop has to vouch for the vehicle’s safety. Who to Call: Take the list of organizations that host autocrosses and add in #Gridlife plus all of the groups that concentrate on track events–bodies like Chin Track Days, Just Track It, Performance Driving Experience, and Hooked on Driving. Lots of regional and local groups also exist, while many tracks host their own lapping days. For decades, much of road racing has been saddled with rulebooks that could rival the tomes in a law library. 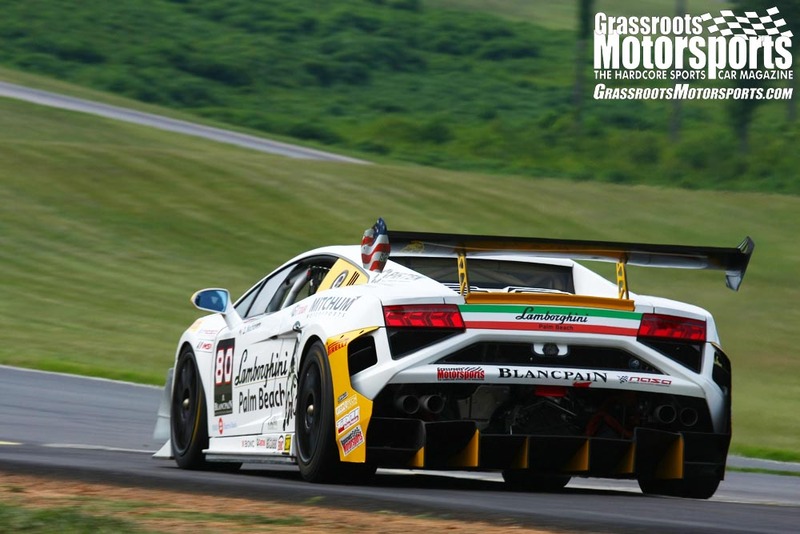 Now there’s an alternative: low-buck endurance racing. Instead of placing limits on camshaft lift or bushing durometer, these rules take a page from our $2000 Challenge and cap the amount of money teams can spend. In this case, low-buck can mean just a $500 budget–yep, approximately the cost of one of the tires used in professional road racing. However, certain items don’t count toward the budget–namely safety gear–so in reality teams can and do spend more than that. Even so, these events are still an inexpensive way to go racing. We’re talking endurance racing, too, so you can split operating costs with your teammates and still get plenty of seat time. These races also visit some of the country’s top tracks. You may be slumming it financially, but you’ll still be collecting many hours of track time on hallowed ground. Requirements: You’re probably not going to use your street car here; you’ll need to build or buy a dedicated vehicle that meets the rules. Even though these are low-buck cars, proper safety equipment isn’t free. Budget a few grand just for a cage, seat, harness and fire system. Shopping the used market might fast-track the process for you. Personal Gear: You’ll also need full personal safety gear: helmet, suit, gloves, head-and-neck restraint and the like. Don’t forget all of your pit equipment, either. 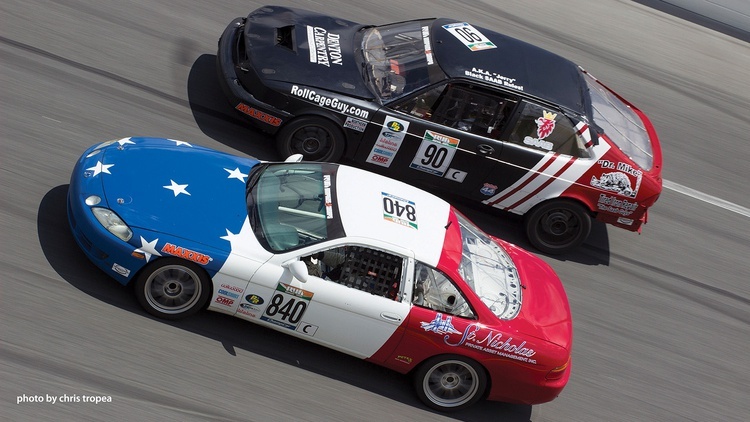 Who to Call: The braintrust behind the 24 Hours of Lemons pretty much kicked off this concept, but low-buck endurance teams can also be found running with American Endurance Racing, ChampCar, World Racing League, NASA and SCCA. What tasks need to be handled? Someone has to build and prep the cars, drive the truck, fix broken stuff, add and manage fuel, change and wrangle tires, set up the pit equipment, and plan and execute a race strategy. Then there’s the logistics: Who’s going to herd all of the cats, book their travel, and keep them properly hydrated and fed? 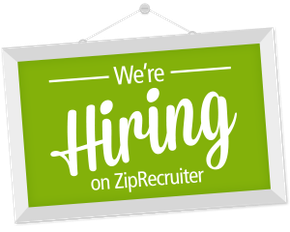 Requirements: Teams are looking for problem-solvers who act cool under pressure–individuals who have a willingness to roll up their sleeves and dive in. Are you mission-focused? Can you swap transmissions in the rain while wearing a smile on your face? Do you have a CDL along with a super-clean driving record? Then a team might need your services. Personal Gear: The more established outfits have all the gear you need, including a cool team uniform. Even so, be prepared for a weekend outside–and put on some comfortable, sturdy shoes as well. First Step: Plan to begin your crewmember experience at the club level. 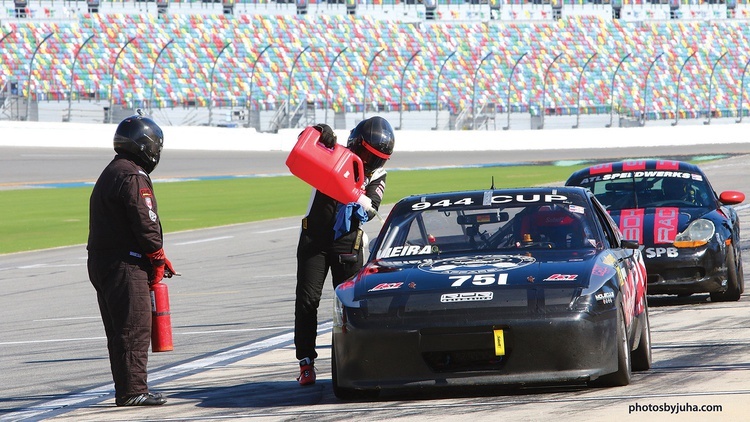 “I would say the best way is to show up at a club event, introduce yourself around, and offer to lend a hand for free–not while the racer is putting out a fire, but in a calm environment,” explains James Clay, owner of the BimmerWorld Racing team. Who to Call: Check out an event sanctioned by one of the groups mentioned on the preceding pages. Once there, Clay suggests this icebreaker: “I have always wanted to help a race team. Can I offer my help for free for a weekend to learn more about how I can assist?” With experience can come payment, and the connections you make can lead to a gig in the pro ranks. These workers tackle a wide range of jobs, starting with the registrars who register the teams and welcome their crews. As the event goes on, teams encounter other workers, like the pace car drivers and the scrutineers in the tech shed. Timing and scoring officials track each car’s position, and emergency crews wait at the ready. The most visible may be the flagging and communication workers–the men and women wearing white who position themselves around the track. They’re the event’s extra eyes and ears. They use flags to communicate with the drivers, and they stay in constant contact with the home base via radio. If there’s an incident, they’re also first on the scene. Being a worker has its perks. These people always seem to have the best parties at the track. Some groups pass along benefits to their workers, too: NASA, for example, offers a system that rewards corner workers with free track time. Requirements: The group running the show usually provides the major equipment, meaning you don’t need to bring your own flags, radio or tow truck. Personal Gear: Traditionally, workers wear white fire-retardant suits. They retail for about a hundred bucks. Then add some gloves, a giant hat, safety whistle and comfy boots. First Step: Most of the country’s road racing events take place under the eye of SCCA or NASA workers, so start by contacting their local regions. Find their website and look for someone with the title of worker chief or something similar. Drop a note explaining that you’d like to help. Most groups hold regular worker schools where participants learn how to fight fires, extract drivers, and remove disabled cars from the track. Who to Call: We mentioned that most road races are run by SCCA and NASA, but they’re not the only games in town. Contact your local track plus whoever sanctions events there. Picture autocross on dirt, gravel, ice, grass or some other low-traction surface and you have rallycross. 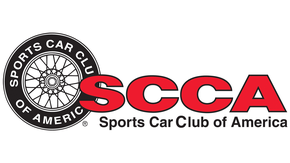 SCCA is the big dog here. The thrills are big and the sport is very novice-friendly, but expect more wear and tear to your car. Also, rallycross events seem to be a bit limited by geography. Car clubs are a great way to get involved and engage with people. No matter what your poison–Porsches, BMW, stance, whatever–there’s a group of likeminded individuals out there eager to meet you. Some would rather do it sideways–and in a fog of tire smoke. 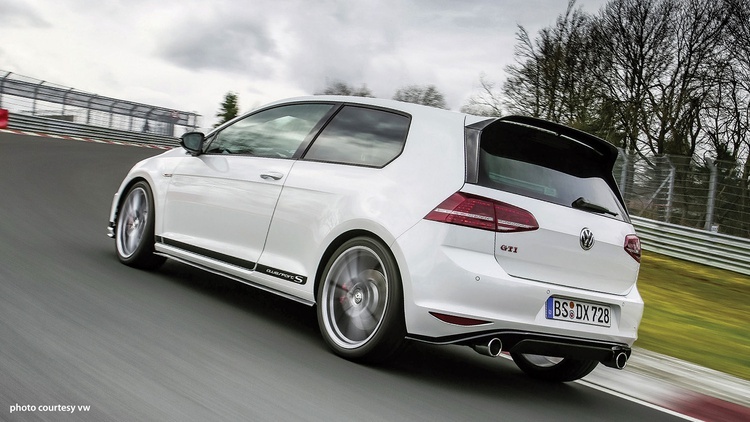 Have a rear-drive car and enough money for a few sets of rear tires? Then drifting is another easy first step. Local and national groups run events across the country. For nearly two decades, our $2000 Challenge has been turning first-timers into achieved builders. The premise remains the same: Faced with a modest budget cap, see what you can build to take on our autocross, drag race and concours judging. Interested? Bring your car to the Grassroots Motorsports $2000 Challenge prsented by CRC Industries in Gainesville, Florida, October 18–19. Think you’re the next Ricky Bobby? Your local oval track awaits. You need a car, a trailer and gear, but used setups offer tremendous bang for the buck. To keep it simple, find out if your local track offers some kind of strictly stock class for four-bangers. Sometimes you need a little chaos in your life, and you can get it without having a ton of racing experience. What are we talking about? American staples like demo derby, figure-eight racing, skid-plate racing, bus racing, camper trailer racing, train racing and the like. Today’s kart racing scene welcomes all kinds, from little kids to big kids. Plus, karts can be very inexpensive to buy and run. Want to make it even easier? Check out Endurance Karting’s schedule for its arrive-and-drive option. The one-car-at-a-time format reduces the chances of damaged sheet metal, but obviously these events are limited to places with hilly topography. Classes welcome street cars, but you’ll probably need to add some basic safety equipment. We recommend running track days before making the jump to these timed competitions. Even so, time trials can be relatively novice-friendly. Most everyone who sanctions track road races also hosts these events. You can go to Germany, rent a car, and drive perhaps the most famous ribbon of asphalt in the world: the Nürburgring. Standard rental companies don’t want their cars venturing on track, but there’s an entire cottage industry of trackside outfits willing and eager to rent out a car prepped for the Nordschleife. Really, it’s a thing. How much? It depends on the car you choose, but figure less than 250 euros for two laps–about 25 miles–in a Volkswagen GTI or other hot-hatch. Want to go faster? Budget closer to 2000 euros for four laps in something like a GT3 Porsche. And if you’d rather ride shotgun, book a seat with a RingTaxi. The Tire Rack One Lap of America packs an entire season of track time into one week. This year’s event starts at Tire Rack’s Indiana headquarters before sending participants on a 3500-mile journey that hits a different track each day. Did you know that, for a few hundred bucks, you can spend 90 minutes driving a new Porsche on one of the brand’s new test tracks? For reals. And these new facilities exist in Atlanta and Los Angeles. A coach is assigned to you, and prices depend on the car. Figure $350 for the 718 Boxster or 718 Cayman programs in Atlanta. How about signing up for a performance or racing school? Arrive-and-drive programs exist that provide everything, including the car and personal gear. Some firms to check out: Skip Barber Racing School, NCM Motorsports Park and DirtFish. Bonneville and El Mirage welcome almost any kind of car or bike. The details for rookie orientation can be found at scta-bni.org. Don’t want to race out West? Check out the East Coast Timing Association. Don’t want to leave the house? No problem. Sim racing now attracts entrants and fans from around the globe. Here’s a chance to learn setup and race craft while joining one of the biggest communities in motorsports. While limited a bit by geography and climate, ice racing features a low, low barrier to entry–we’re talking nearly stock cars in many instances. How about photography? I did it years ago and would like access to restricted areas for better images. How about GRM allows access to some fans to photograph events. There would be strict rules of course, and there should be a screening/vetting of those who wish access. Specifically, you will need more than the camera on you r iPhone.